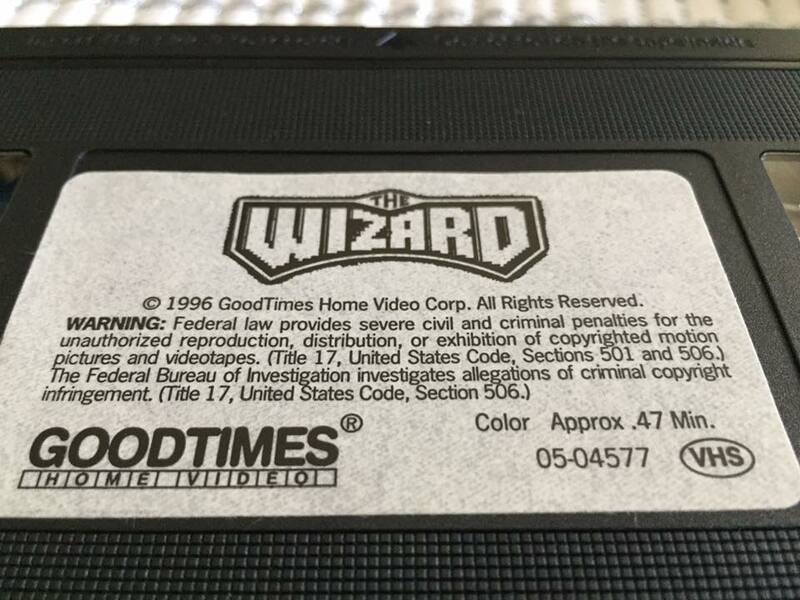 The Horror Movie BBQ: WizardWednesday: The Goodtimes Video Release! 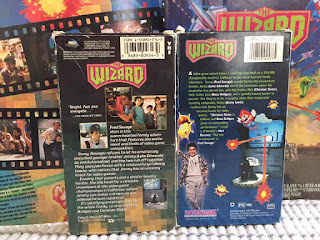 In my love of the Wizard, I find myself hitting eBay quite a bit looking for any and all merchandise and/or promo items. It's a little hard to do. 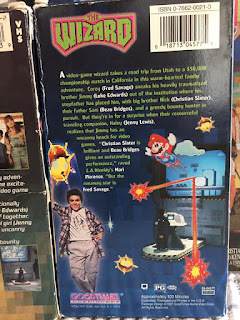 Universal and Nintendo didn't exactly put a lot of promotion and merchandising behind it. 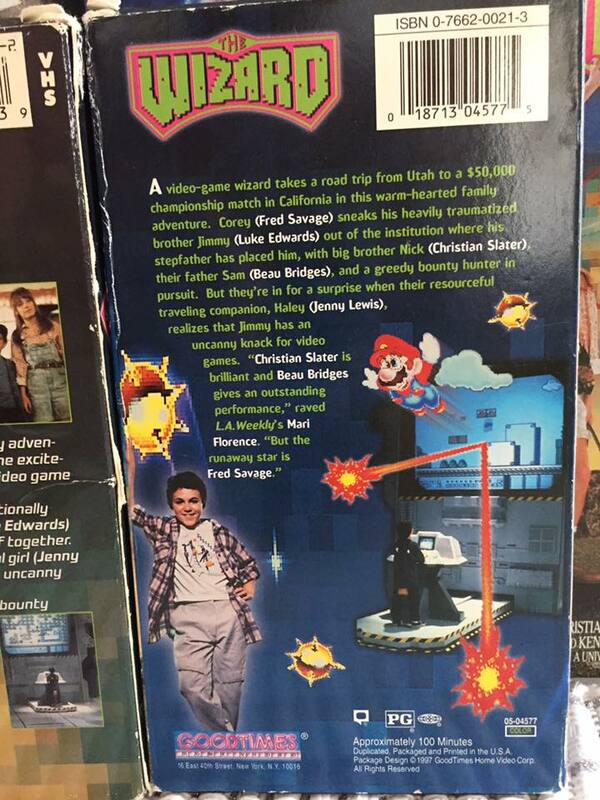 Which is odd, considering it was the unveiling of Super Mario Bros. 3, it was a pretty big release for both companies. So when I do find something, I'm overjoyed as well as pleasantly surprised. And just last week I found something and immediately went into panicky "HOLY CRAP SHUT EVERYTHING DOWN I NEED THIS" mode. Now, we've all seen that standard Universal Studios vhs release of The Wizard but I can honestly say that in all my research of this movie and even my thrifting and vhs collecting, I have never seen this release before. Goodtimes release on the left. The standard Universal release on the right. Released by "Goodtimes Video" under license through Universal, I really was hoping for something new or unseen another releases but nah. Just another seemingly pan-and-scan release. In LP Mode. Which, if I recall, is the basis for every one of their releases. Goodtimes Video was known for releasing their tapes in low quality and an equally low price. Not low quality in a bad way, but if you were looking a tape with the best sound and picture, their releases may not be for you. Which, for a bargain tape, you get what you pay for. This tape is no different. Same bad picture and sound. On top of all that, your finger must stay on the tracking button. The bottom of the screen will produce more static than an old nWo promo video. The packaging is caught my eye. The front is pretty much the same, just looks like they zoomed in on the original release, which leaves everything much more pixelated. 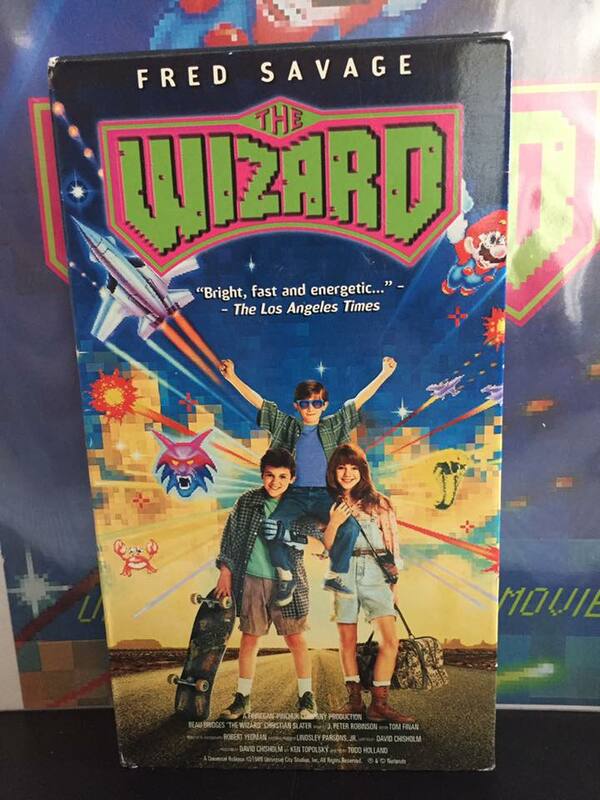 Imagine a movie poster that features about 99% of the graphics being pixelated NES characters. Now, imagine zooming in on those characters by about 5 times. How bad is that going to look? Yup. 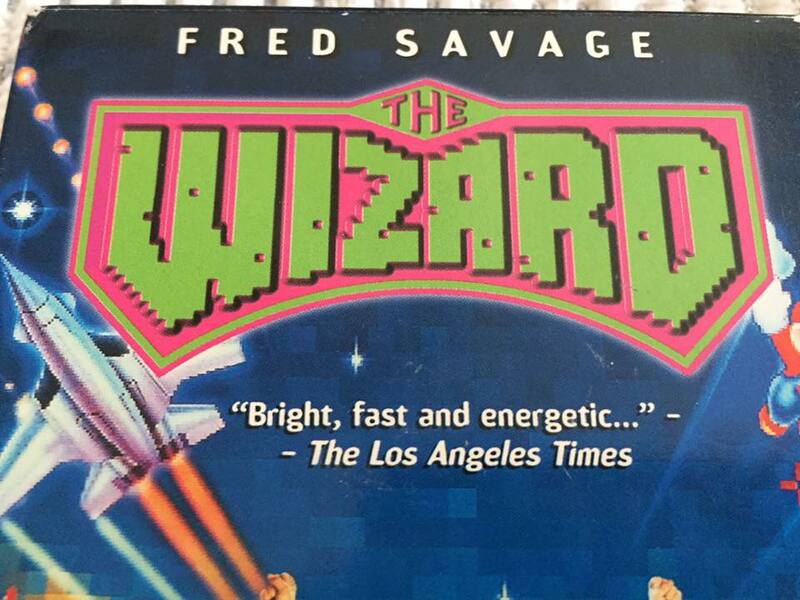 Also, note a review of the movie itself. That's neat considering the original only had a small review on the back. That'll come in handy in a second. 47 minutes?!?!?!?! Is this the making of featurette or the actual movie? I can honestly tell you that it does run for the entire run time. I'm very confused by this mislabeling. Maybe someone somewhere had hoped the movie was only 47 minutes. Other than that, I got nothing. 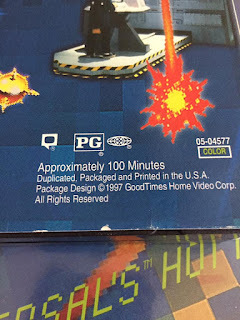 But even the back of the cover lists it at it's 100 minute run time. So that's a fun little bonus. Don't think I've ever seen a vhs listing the wrong run time on the label but list the right time on the cover. But there's a first for everything. One last note. Notice the logo. It looks rather raised in the picture right? 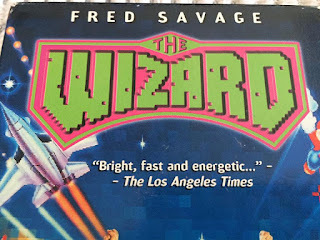 I saw this on the ebay listing and said "hmmm...could the logo have been raised on the box?". I mean it's possible. That was a big gimmick at the time and even before. But no. I was very mistaken. Just a flat logo. Still a cool looking 3-D'ish looking alternate logo. I can't say I've ever seen this logo in any capacity. I dig it. 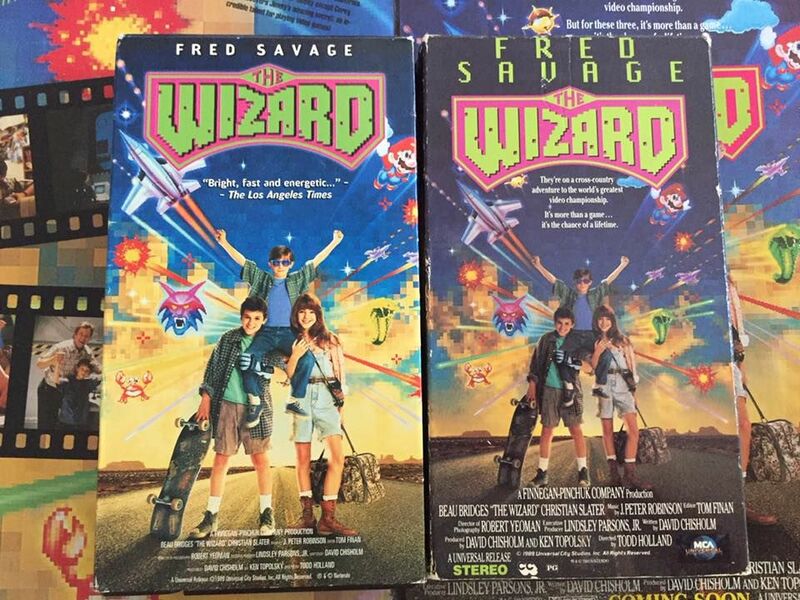 All in all, it's not the holy grail of VHS collecting by any means. 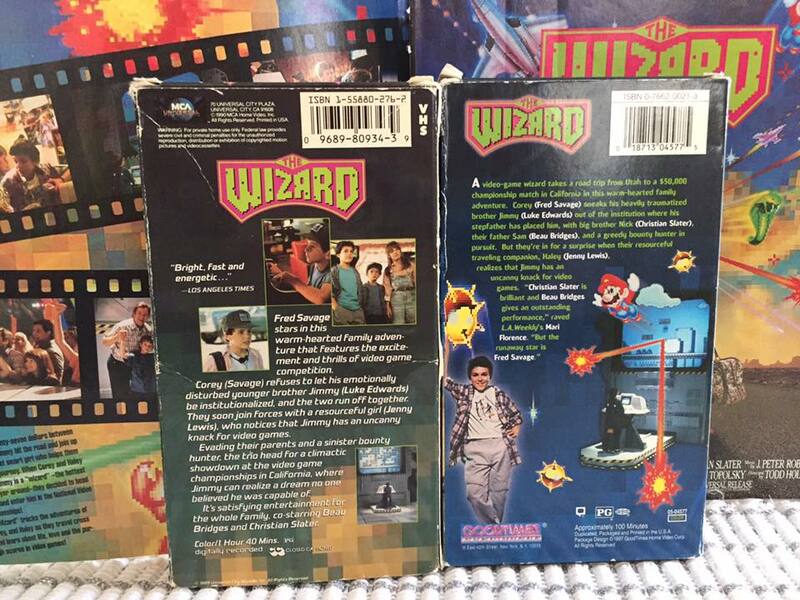 But it is pretty cool to find a different releases of The Wizard. I've seen foreign releases but never an alternate domestic release. This blog is terrific. That is all.